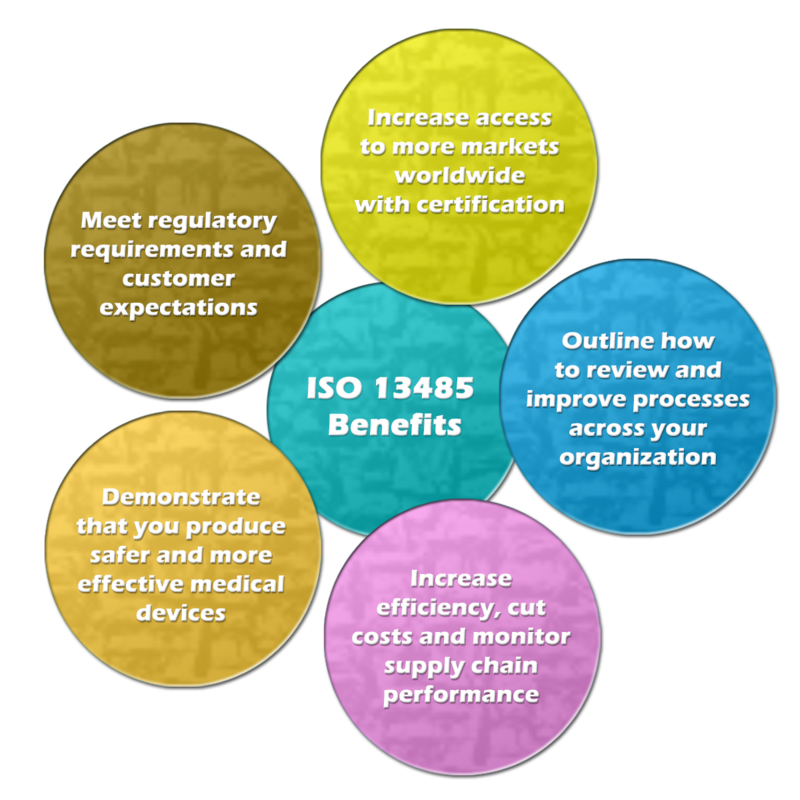 ISO 13485 is a quality system standard designed specifically for medical device companies. For it development ISO 9001 standard has been used as a base, however there are additional requirements for process control, design control, retention of records, accountability, traceability and more. In Canada, ISO 13485 is mandatory for Class II, III and IV medical device manufacturers (with additional requirements imposed under Canadian law). ISO 13485 is considered the most commonly chosen path for medical device companies to meet the quality system requirements in North America and rest of the world. ISO 13485 is mandatory for finished medical device manufacturers (depending on the class of the device) in range of countries / regions e.g. Canada, Europe etc (with additional requirements imposed under concerned country / region law). At the same time subcontractors & critical suppliers to medical device industry apply this standard to demonstrate compliance with the critical aspects of this industry stated in ISO 13485 standard. Almost mandatory to be ISO 13485 certified in order to win a new business as a subcontractor / critical supplier from a medical device manufacturer Mandatory to achieve ISO 13485 certification (along with additional requirements imposed under concerned country law) in order to get your medical device licensed (depending on the device classification). Why choose Quality Workforce as your ISO 13485 consultant? Quality Workforce has helped hundreds of medical device and IVD manufacturers implement quality systems that meet the ISO 13485 standard. Our team of experienced ISO 13485 consultants have implemented numerous quality management systems for companies manufacturing a wide range of medical devices. Our system has been proven to work efficiently and we have been through the process with many medical device and IVD companies due to which we are confident that you will pass in your first ISO certification audit if you follow our plan.We fully customize ISO 13485 quality systems for our clients. Our ISO 13485 consulting and project management teams will work closely with you to ensure that your quality system is implemented on time and on budget.On-site ISO 13485, CE Marking, Canadian Medical Devices Regulations and FDA QSR 820 training for your key employees is included in the cost All of our projects are based on a fixed price.